Serbian Private Equity Association is proud to announce its partnership with the CEE M&A Awards. 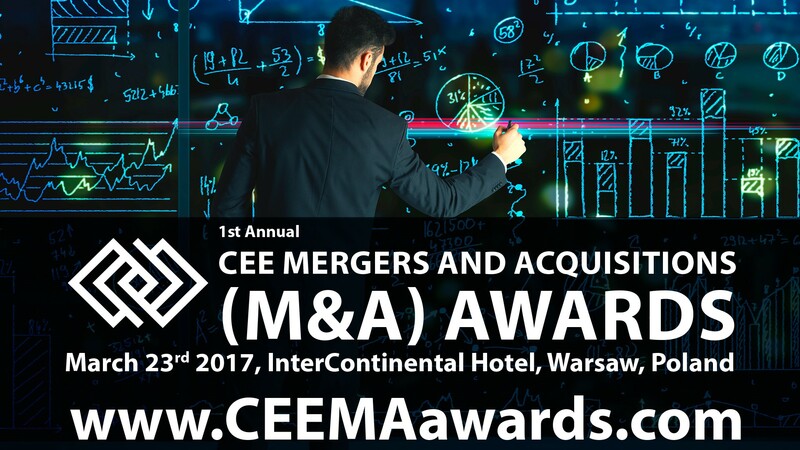 The inaugural CEE M&A Awards is the only awards ceremony to recognize and honor excellence of the M&A sector in the CEE region. Hosted at the InterContinental Hotel in Warsaw on March 23rd, 2017, the awards will be presented to the most active and professional PE and VC companies operating in the region. The CEE M&A Awards celebrate the outstanding efforts and achievements of all those involved in identifying, coordinating and completing the important deals, which have produced consistent results, and the potential to change the fate of businesses and industries throughout the region. At this inaugural celebration gala more than 200 senior decision makers from the M&A sector are expected to attend. The awards in 12 different categories will recognize companies and individuals who have demonstrated the best overall performance during the past year.